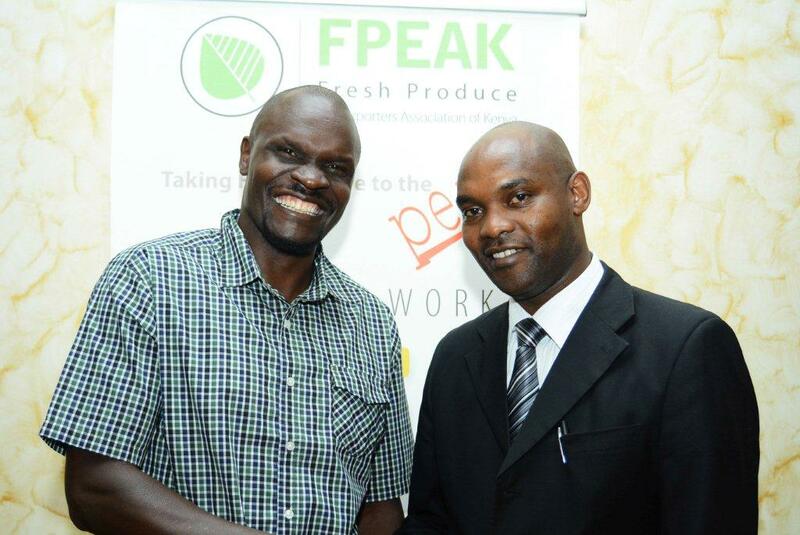 Fresh Produce Exporters Association of Kenya Chairman Apollo Owuor welcomes newly- appointed chief executive officer, Hosea Machuki to the association. Mr Machuki will oversee the implementation of the new horticulture industry exports standards. The Kenya horticulture sector is set to undergo major changes as the country seeks to consolidate its international market, the Fresh Produce Exporters Association of Kenya (FPEAK) Chairman Apollo Owuor told a gathering of exporters in Nairobi last week. Mr Owuor was introducing newly-appointed Chief Executive Officer of the 148-member association, Mr Hosea Machuki, who will lead the efforts to put fruits, vegetables, herbs and spices under a new standard, the KS1758 Part Two – Fruits and Vegetables under regulations that must be adhered to before being allowed to handle fresh produce for local and export market. Kenya has since 2012 faced challenges in the EU over excedence of pesticide residues and quarantine pests that has cost the country billions of shillings in export losses leading to the new development. “We have spent the last five years developing systems to ensure that the challenges of excess pesticides and presence of quarantined pests does not haunt the industry again,” said Mr Owuor at an FPEAK members meeting that was convened to update the growers on the measures. The KS1758 Part Two will be rolled out next month together with an umbrella council created by the Kenya Flower Council and FPEAK to enable the horticulture industry articulate specific sector concerns jointly. The KS 1758 Part Two comes two years after its predecessor; KS 1758 part one for Flowers and Ornamentals was launched (in 2015). The standards bring all exporters and handlers under a standard practice and will be the basis on which export permits are issued in the coming years. This will essentially eliminate the possibility of any rogue practice and lack of proper documentation that has in the past led to expensive interceptions at the market entry in the EU. Latest data indicates the sector earned Ksh102.5 billion, in foreign exchange earnings, the second largest after tea with a 10 per cent steady growth despite the many challenges, with a GDP contribution of Ksh 200 billion. “We can export more since the demand in the markets is high and growing by the day. With the drought of 2016-2017 hitting production, we must employ innovative measures to ensure our volumes stay constant and on the rise for markets reliability. Many consumers especially in Europe markets love Kenyan produce but when volumes go down for whatever reason, they are forced to look for alternative fresh produce elsewhere for supplies elsewhere and are unlikely to come back”, said Mr Machuki. 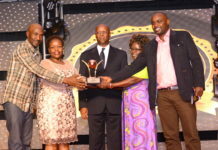 The American market is ready for our produce, and with the upcoming launching of direct flights to Washington, we should tap into this market by training more growers and exporters on the necessary requirements, added Mr Machuki who disclosed that Kenya’s avocados and mangoes have massive opportunities in the US given our unique seasonality and production window that does not have competition from the rest of the countries that supply the US.